Many essays have been written about Lincoln Kirstein (1907 – 1996), John Walker III (1906 – 1995), and Edward M. M. Warburg (1908 – 1992) and their exhibition venue at 1400 Massachusetts Avenue, Cambridge, on the second floor of the Harvard Cooperative Building, in Room 207 and 208. To know the exhibition timeline and the shown artists is important for each survey on the Harvard Society for Contemporary Art and is subject of this blog post as part of artist-info‘s focus on documenting exhibitions from 1880 up to the present, worldwide. The Harvard Society for Contemporary Art, Inc. wanted to show new currents and movements in art by local and national artists, as well as new European artwork, architecture, design, typography, film, and photography. Although the three student’s budget to run the gallery was very limited, their enthusiasm for Modernism was not and their groundbreaking effort was influential in many ways. The three had the courage to confront the public, the press, and art critics with gallery exhibitions of Modernism artwork. This would not have been possible without the academic network they belonged to: First to mention Paul Sachs and Edward Forbes, then A. Everett ‘Chick’ Austin, Kirk Askew, Jere Abbott, Alfred H. Barr, Henry-Russell Hitchcock, and the undergraduates Philip Johnson and Julien Levy. The board of trustees of the Inc. included: Edward Waldo Forbes (director of the Fogg Museum), Paul Joseph Sachs (associated director of the Fogg Museum, professor of art history), John Nicholas Brown (collector), Philip Hofer (collector), Arthur Pope (professor of art history), Arthur Sachs (financier), and Felix M. Warburg (Edward’s father). Their mission was based on the exhibitions they organized and the artists they were showing in these exhibitions. The timeline below starts with their first exhibition in February 1929 and ends 1932, the year Lincoln Kirstein moved to New York. He had become member of MoMA’s Advisory Committee and chairman of the exhibition committee. He was exhibition director of Murals by American Painters and Photographers – Mural Paintings and – Photo-Murals, the opening exhibition at MoMA’s new address at 11 West 53rd Street. An alternative to the static list below provides the interactive exhibition timeline on the artist-info page of the Harvard Society for Contemporary Art, with all exhibitions, all their artists and access to the artists’ other exhibitions and exhibition venues, starting 1880. Our starting point to document the exhibition history of the Harvard Society for Contemporary Art and the shown artists was Nicolas Fox Weber’s ‘Patron Saints – Five Rebels Who Opened America to a New Art, 1928-1943’ (Yale University Press, 1995). Looking into additional sources and the original exhibition catalogs brought to light many more artists than the overview in ‘Patron Saints – Five Rebels Who Opened America to a New Art, 1928-1943’ is giving and provides like this an exciting new insight. Exciting does mean that you find today, early March 2018, for the 285 artists we could document so far for the HSCA’s exhibitions between 1929 and 1932 more than 23.100 cross-linked solo- and group-exhibitions of these artists from 1880 up to the present at many exhibition venues in North America, in Europe, and Asia in our artist-info database. A. Everett ‘Chick’ Austin did show in 1930 Richard B. Fuller – 4D – Dymaxion House, Modern Mexican Art, Modern German Art, and Photography 1930 in Hartford immediately after their presentation in Cambridge. Look up Wadsworth Atheneum and its exhibition history on artist-info. The Harvard Society for Contemporary Art was collaborating with New York galleries. Look up e.g. Julien Levy Gallery with its exhibitions and their artists on artist-info. Bauhaus: 1919-1923 Weimar / 1924 Dessau: The Bauhaus exhibition at the Harvard Society for Contemporary Art in December 1930 was not only the first in the United States, it was as well its first retrospective: Weimar was closed in 1925, Walter Gropius did step down as director April 1, 1928, and the NSDAP did close down the Bauhaus in Dessau in 1932. The next important Bauhaus retrospective was at the MoMA in December 1938, organized and installed by the artist Herbert Bayer. At the exhibition’s news conference on December 3, 1938, Walter Gropius, then chairman of the School of Architecture, Harvard University, was the most prominent speaker. You may want to compare the artists of these two early retrospectives by looking up The Bauhaus 1919–1928 at the MoMA and at the HSCA, or use artist-info Main Search to look up exhibitions related to the query Bauhaus, with a result of more than 48 exhibitions and their artists. You may want to look up the exhibitions and their artists of Galerie Ernst Arnold, Dresden which supplied the large selection of prints in the Modern German Art exhibition. Photography 1930: You may want to compare the artists in the HSCA exhibition with Foto-Auge by Frank Roh and Jan Tschichold, to which Lincoln Kirstein refers to in his ‘Introductory Note’. 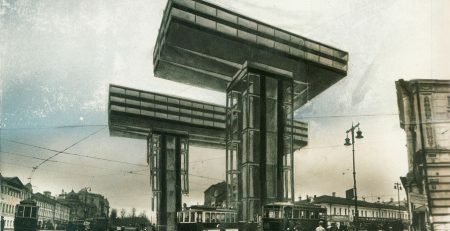 Foto-Auge was published on occasion of Film und Foto – Internationale Ausstellung des Deutschen Werkbundes in May 1929. Lincoln Kirstein describes in his text the importance of “simple clarity in documentary form” and “the contemporary consciousness of time” the camera offers, but wants to show as well with the artists in his exhibition that the artistic use of the camera has reached a new quality. with each artist's full name, link to the artist's exhibition history on artist-info.com, and additional links, e.g. 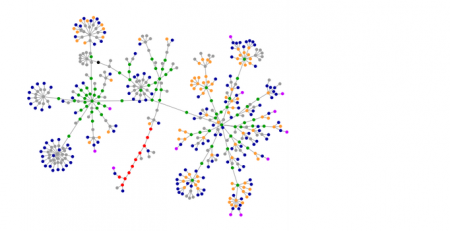 Wikipedia and WorldCat-Identity or other Authority Control. * Artists listed in original Harvard Society for Contemporary Art catalog. To be sure that the list of artists of exhibitions isn't incomplete we continue looking up original archival material. Oils: Bellows, Benton, Davies, Hopper, Hopkinson, Kent, Miller, O'Keeffe, Prendergast, Robinson, Sloan, Speicher, Sterne. Drawings and Watercolors: Burchfield, Demuth, Hopper, Kent, Marin, Sterne. Prints (Etchings, Lithographs, Woodcuts, Photographs): Bellows, Davies, Hopper, Kent, Lankes, Marin, Sloan, Sterne, Stieglitz. 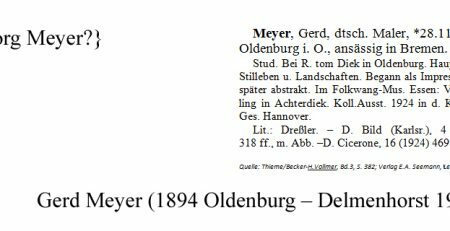 Decorative Arts: Deskey, Locher, Poor, Schoen. Oils: Beaudin, Bonnard, Braque, Chirico, Dufy, Friesz, Gris, Gromaire, Kisling, Laurencin, Lurçat, Man Ray, Marcoussis, Masereel, Mauny, Metzinger, Miró, Modigliani, Pascin, Rouault, Segonzac, Soutine, Vlaminck. Drawings and Watercolors: Dufresne, Fresnaye, Lhote, Léger, Vergé-Sarrat. Sculpture: Brâncusi, Despiau, Maillol, Orloff. Prints (Etchings, Lithographs, Woodcuts): Bonnard, Braque, Derain, Dufy, Gromaire, Kisling, Laurencin, Lhote, Maillol, Masereel, Matisse, Pascin, Rouault, Segonzac, Vergé-Sarrat, Vlaminck. Decorative Art: Dufy, Dunand, Lalique, Legrain, Linossier, Marinot, Puiforcat, Templier. Bremer Press, Cranach Press, Ernst Ludwig Press, Ratio Press, Kleukens Press, Rupprecht Press, Janus Press, Ernst Engel Press, Juniperus Press, Officina Serpentis Press, Rudolfinische Press, Marcus Behmer Press, and Oda Weibrecht Press. Including two watercolors by A. Everett 'Chick' Austin. Paintings: Blume, Coleman, Davis, Dickinson, DuBois, Fiene, Glackens, Hirsch, Kane, Karfiol, Kroll, Kuhn, Kuniyoshi, Luks, Rosen, Schmidt, Schnakenburg, Sheeler, Simkovitch, Tucker, Weber. Sculpture: Calder, Lachaise, Noguchi, Sterne, Storrs, Talcott, W. Zorach. Prints: P. Bacon, Coleman, Davis, Fiene, Kuhn, Kuniyoshi, Weber, M. Zorach. Chase, Cutler, Hopkinson, Pepper, Perkins - Sculpture by Noguchi. 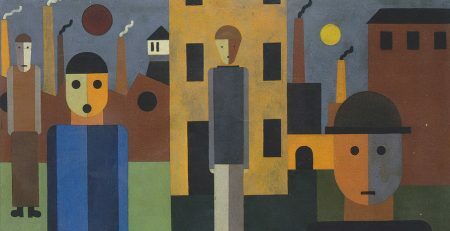 Paintings (Oils, Drawings, Watercolors): Beckmann, Grosz, Heckel, Hofer, Kaus, Kirchner, Klee, Kokoschka, Kolbe, Mueller, Nolde, Pechstein, Rée, Rohlfs, Schmidt-Rottluff, Schulze-Soelde, Schwichtenberg. Prints: Barlach, Baumeister, Boehle, Corinth, Dix, Feininger, Grosz, Großmann, Heise, Hofer, Hofmann, Kandinsky, Klee, Klemm, Kokoschka, Lehmbruck, Liebermann, Michel, Mueller, Nolde, Pechstein, Schmidt-Rottluff, Schrimpf, Sintenis, Thoma. Sculpture: Amstem (Adams), Belling, di Fiori, Kolbe, Lehmbruck, Sintenis. Photographs: Abbott, Atget, Beaton, Bourke-White, Bruehl, Evans, Gerlach, Hoyningen-Huené, MacDonald, Man Ray, Modotti, Móhóly-Nagy, Rittase, Schell, Sheeler, Steichen, Steiner, Stieglitz, Strand, Ulmann, Weston. Magazines: Vanity Fair, Vogue, Fortune, The New Yorker, Harpers Bazar et. al. Paintings and Drawings (Color Prints, Drawings, Etchings, Color Lithographs, Lithographs, Oils, Watercolors, Woodcuts): Borchert, L. Feininger, Itten, Kandinsky, Klee, Marcks, Schlemmer, Schreyer. Decorative Arts and Photgraphs of Decorative Arts: Classen, Brandt, Nösselt, Stölzl. Photographs: Th. L. Feininger, and Photographs of the Bauhaus Buildings. Photographs of Paintings by: Albers, L. Feininger, Muche, Bayer, Klee, Kandinsky. 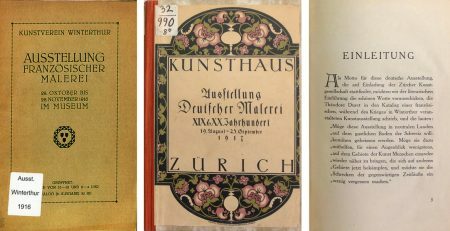 Books and Periodicals: Bayer, Clauss, Doesburg, Gleizes, Gropius, Kandinsky, Klee, Moholy-Nagy, Malewitsch, Mondrian, Oud, Schlemmer. Carroll, Eilshemius, Gibbs, Kantor, Kopman, Marsh, McFee, Orr, Tobey. Cézanne, Degas, Derain, Gauguin, Gogh, Kandinsky, Léger, Marin, Matisse, Monet, Picasso, Renoir, Seurat. Archipenko, Bauer, Belling, Brâncusi, Braque, Chagall, Chirico, El Greco, Gauguin, Gris, Lachaise, Léger, Lurçat, Masson, Metzinger, Móhóly-Nagy, Mondiran, O'Keeffe, Picasso. 'Metamorphoses' by Ovid: Drawings, copper plates, etchings, artist proofs. Gropius, Howe, Lescaze, Frank Lloyd Wright (incomplete artist list). Ganso, Davis, Karfiol, Kantor, Marsh. Pictorial Treatment of the Sacco-Vanzetti Case, 23 gouaches. Each artist's full name is listed on the exhibition's artist-info.com page. - Weber, Nicolas Fox: 'Patron Saints - Five Rebels Who Opened America to a New Art, 1928-1943', Yale University Press, 1995. - 'The Harvard Crimson', Cambridge (MA). - 'Lincoln Kirstein - The Published Writings', Eakins Press Foundation, New York. - The National Gallery of Art Library (Washington D.C.), the MoMA Library and the Metropolitan Museum of Art Thomas J. Watson Library (New York), the Beinecke Rare Book and Manuscript Library (New Haven) among others. 1 - Catalog text 'Note' [unsigned], page 4, by Lincoln Kirstein. 2 - Catalog text 'Note' [unsigned], page 4, by Lincoln Kirstein. 3 - Catalog text [Notes on the artists, unsigned] by Lincoln Kirstein. 4 - Artists listed in: The Harvard Crimson, 'Art Society Displays American Cartoons - Exhibition by Harvard Society of Contemporary Art Opens Today in Rooms of Organization'; December 6, 1929. Transcription: Aladjalow > David Low (1891 - 1963), Ding > Jay Darling (1876 - 1962). 8 - Catalog text 'Historical Background' [and notes on the artists; unsigned] by Lincoln Kirstein. Galerie Ernst Arnold, Dresden, provided the large selection of prints for this exhibition. 9 - Catalog text 'Introductory Note' [unsigned] by Lincoln Kirstein. 10 - Catalog text 'Introductory Note' [and notes on the photographers; unsigned] by Lincoln Kirstein. Lincoln Kirstein does refer in his 'Introductory Note' to Foto-Auge by Frank Roh and Jan Tschichold, published on occasion of Film und Foto – Internationale Ausstellung des Deutschen Werkbundes in May 1929. Photography 1930 shows the importance of "simple clarity in documentary form" and "the contemporary consciousness of time" the camera offers, but wants to show as well that the artistic use has reached a new quality. 11 - The catalog courtesy: National Gallery of Art Library, David K. E. Bruce Fund, Washington D.C.. The Bauhaus exhibition was discontinued on Saturday, January 17 [Saturday, January 15] [Source: The Harvard Crimson, 'Exhibition by Picasso will open next week'; Saturday, January 15, 1931]. Public opening of the Picasso exhibition on Friday, January 23. A private exhibition of Picasso pictures will precede the public opening Thursday, January 22]. Catalog text 'Introduction' [and notes on the artists; unsigned] by Lincoln Kirstein. 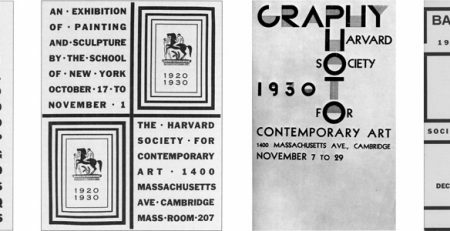 The Harvard Society Bauhaus exhibition was shown subsequently at John Becker Gallery, 520 Madison Avenue at 53rd Street, New York, Bauhaus - 1919–1923 Weimar / 1924 Dessau, January 20 - February 10, 1931. For the exhibition at John Becker Gallery the Harvard Society Bauhaus catalog was reprinted with the gallery's address on the cover. Lincoln Kirstein's name was given as both the writer of the catalog's text and the designer of the cover (Source: Weber, Nicolas Fox, p. 118]. The third venue of the traveling exhibition was Bauhaus, Dessau, Germany, March 13 - 28, 1931, at The Arts Club of Chicago. 12 - Catalog text 'Introductory Note' [and notes on the artists; unsigned] by Lincoln Kirstein. 13 - Artists listed in: Schaffner, Ingrid and Jacobs, Lisa (editor): 'Julien Levy: Portrait of an Art Gallery', The MIT Press, Cambridge 1998, p. 173.